It was Mandar’s dream to provide solutions that address the pain areas of the designing process in engineering companies. An extension of this visualization was to develop an Indian CAD solution. It was in late 2002, that his first dream achieved fruition with Mark. And after 7 years his second wish came true. But it was his zest to understand customer’s challenges at grass root level that made him reach his goals. A Mechanical Engineer from the prestigious College of Engineering Pune, Mandar started his first job as trainee with Kirloskar Oil Engines in tooling and fixture designing department. Later he secured his masters in Business Administration from PUMBA. First at Mastek and later at Tata Consultancy Services he proved his expertise in sales, management and leadership. But he prefers to be called as the “Solutions Guy” rather than any of his other designations. It was his consultative approach and passion to work closely with clients to solve their designing process problems that gave him wings to fly on his own. 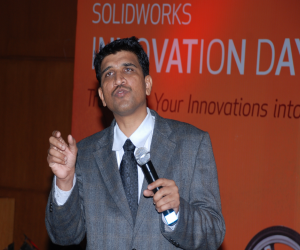 Having understood the CAD technology inside out, he first secured partnership with SolidWorks for implementation of their products across India. It was during this period that he identified that the product that they supported could exponentially improve the efficiency and productivity of the customer, if an easy–to-use module that automated the entire designing process was plugged into it. 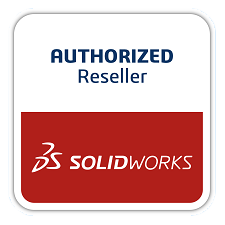 The answer to this was called CADEC – a robust solution that could be easily integrated with SolidWorks and extend its capabilities. His vision is to have worldwide operations for Mark’s design automation product – CADEC. Call us now and our consultants will be very delighted to help you with improving your design efficiencies.